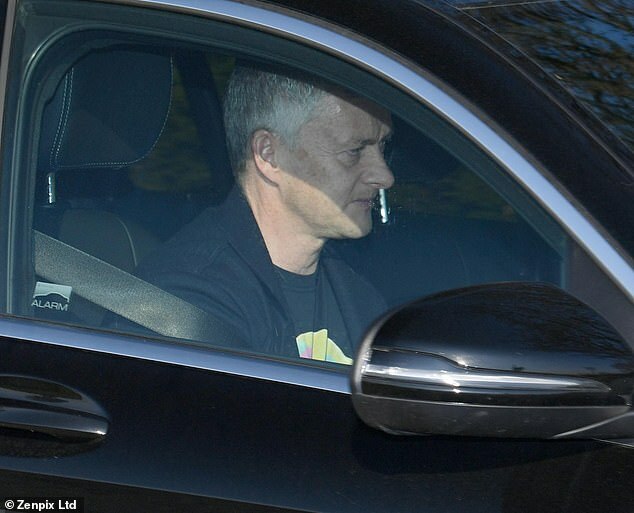 Ole Gunnar Solskjaer has afforded himself no respite as it was straight back to the grind on Sunday morning following their victory over West Ham. United returned to winning ways on Saturday courtesy of two Paul Pogba penalties after a disappointing run saw them lose three of their last four matches but now attentions turn to Barcelona. 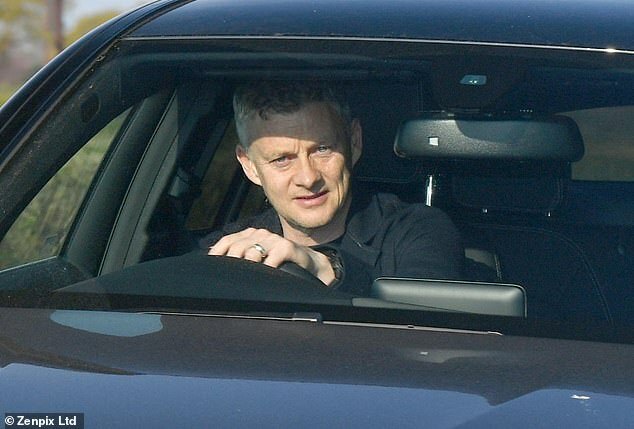 Solskjaer, who is unhappy with United’s congested schedule, was seen driving into their Carrington training ground as his players reported for a session on Sunday morning ahead of their quarter-final second leg at the Nou Camp. The United boss has urged UEFA to change their fixture scheduling so both legs of a quarter-final would either be on a Tuesday or a Wednesday. Under current rules, Spurs and Manchester City play their tie on a Tuesday and then the following Wednesday – an eight-day gap – while United and Barcelona only have six days between their two matches. Barcelona were forced to take drastic measures to ensure their players would be fresh for the return leg and rested their entire team for the 0-0 draw at Huesca. 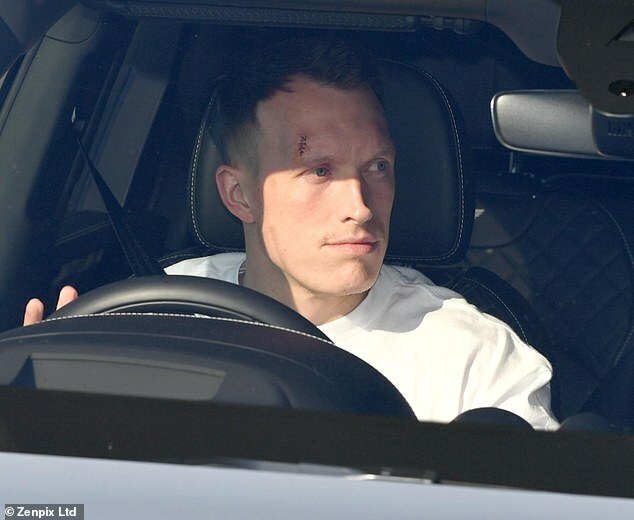 Phil Jones, who suffered a nasty gash to his head during United’s 2-1 win over West Ham, was seen with stitches above his left eye as he pulled into the club’s training ground. 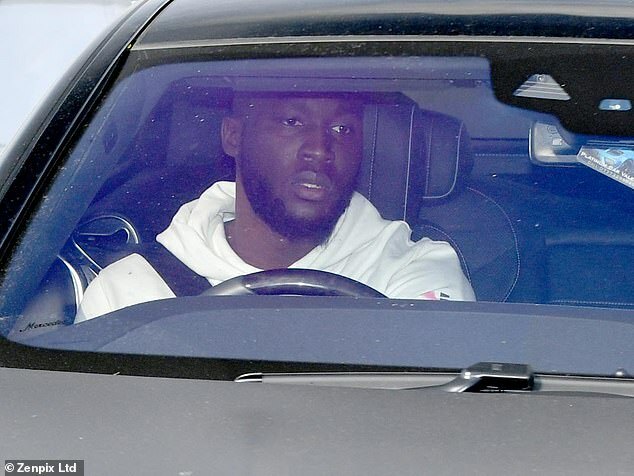 Marcus Rashford, Romelu Lukaku and David de Gea were also seen arriving at Carrington on Sunday as United begin their preparations for Barcelona. 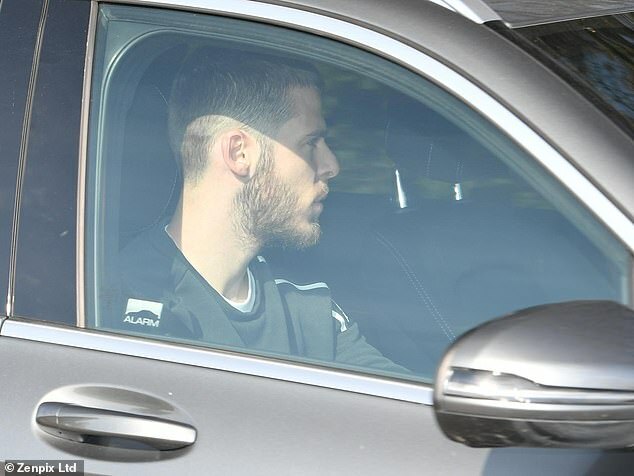 United head to Spain trailing by one goal and face a tall ask to qualify for the semi-final. 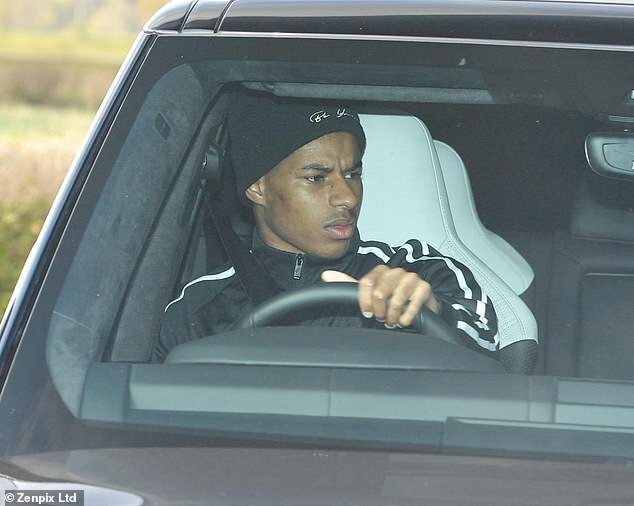 Solskjaer’s men have looked off the pace in recent weeks and will need to re-summon the spirit and energy that saw them pull off mission impossible in the French capital last month. Despite their sluggish performances of late, former United midfielder Paul Scholes has back them to spring a surprise in the Champions League tie at the Nou Camp. He said: ‘I don’t think it’s the best Barcelona team we’ve seen for so many years.